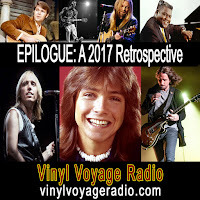 Our 2017 retrospective is now available on-demand. This episode features many of the artists we lost in 2017, including Fats Domino, Gregg Allman, Chris Cornell, Glen Campbell, David Cassidy and many more. You can listen to it at any time via Mixcloud. This song is the quintessential Peter Frampton song--so soulful and heartbreaking. It's hard to believe he was only about 22 or so when he wrote it. 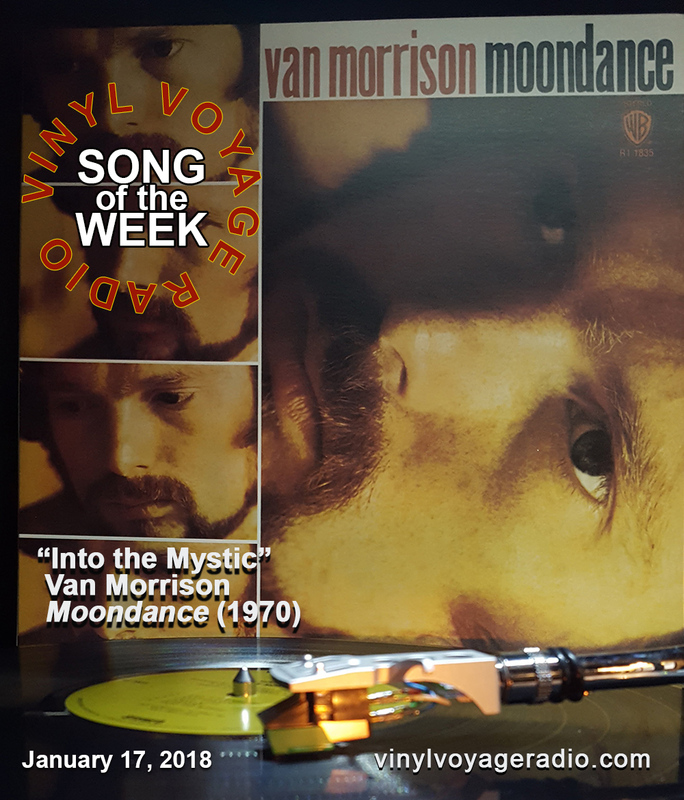 This is "Lines on My Face," the Vinyl Voyage Song of the Week. This is the quintessential #PeterFrampton tune - hard to believe his was only 22 years old or so when he wrote it - so soulful and heartbreaking - It is the Vinyl Voyage #SongOfTheWeek -spinning on original #vinyl Episode drops January 31 at 10am and 10pm, Central. Check out our website for the complete schedule. You can tell by this picture that "Tape 3" is no high quality tape. Yeah, these tapes came in bags of four. Yes, bags. They did not have cases. I spent hours sitting by the radio, getting ready to hit record whenever a song I liked came on. These were the first mix tapes I made. I kept a log of the songs in a little spiral notebook. This tape comes from around 1981 and features songs recorded from Chicago radio stations. I listened to Chicago DJ Steve Dahl everyday and this tapes includes several of his songs that he recorded. he was like the Chicago version of Weird Al. There is also a snippet of DJ Brant Miller, who is now a weatherman on Chicago TV. This tape premieres tonight on Mix Tape Memories, 8 pm central. 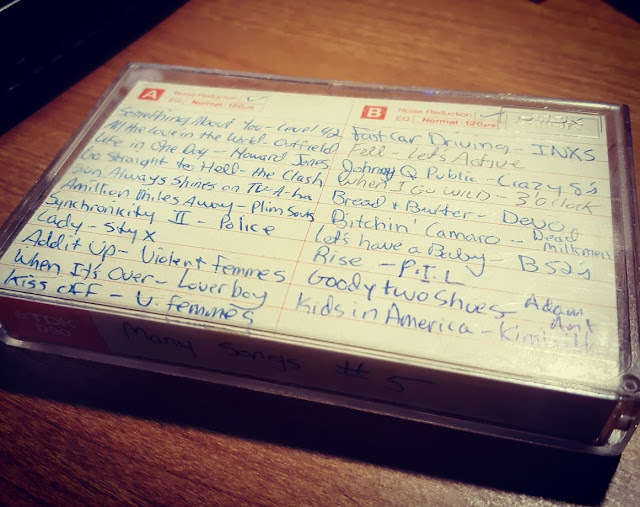 Another #LoFi edition of #Mixtape Memories - a tape from c. #1981 taped from radio, featuring #Chicago DJs #SteveDahl and #BrantMiller plus #Journey #BobSeger #LedZeppelin #Survivor and more. Tonight at 8pm central. I've been a Neil Diamond fan all of my life. To celebrate his 77th birthday on January 24th, we are featuring his first hit song from 1966...and one of his best: "Solitary Man." The Song of the Week segment premieres at 10am, central and repeats at 10pm. 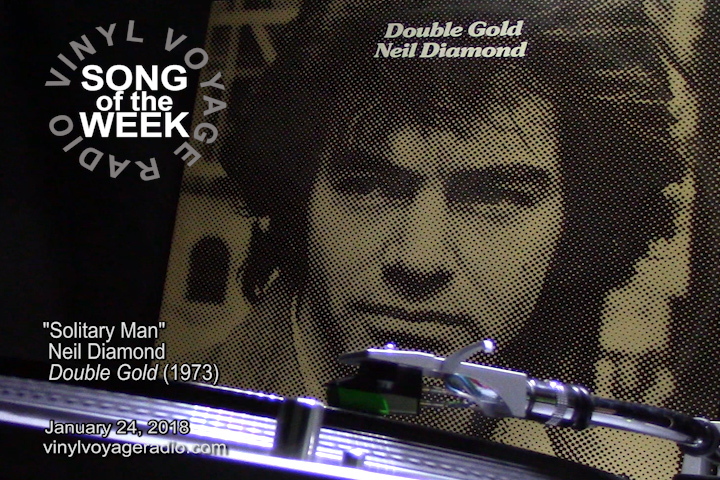 Listen to the song played on original vinyl from his 1973 Double Gold LP. On this episode of Mix Tape Memories, we are going back to the early 90s for an awesome mix tape. This tape features Elton John, U2, Michelle Shocked, Til Tuesday, Van Morrison, 10,000 Maniacs, Indigo Girls, Concrete Blonde, Tori Amos and many more! Season 1, episode 10 premieres Friday night at 8pm, Central. Then it repeats next Wednesday at 1am and 1pm Central. It is Martin Luther King, Jr. Day in the United States; a day dedicated to the memory and ideals of the civil rights leader. And in today's climate, there is no message more important. 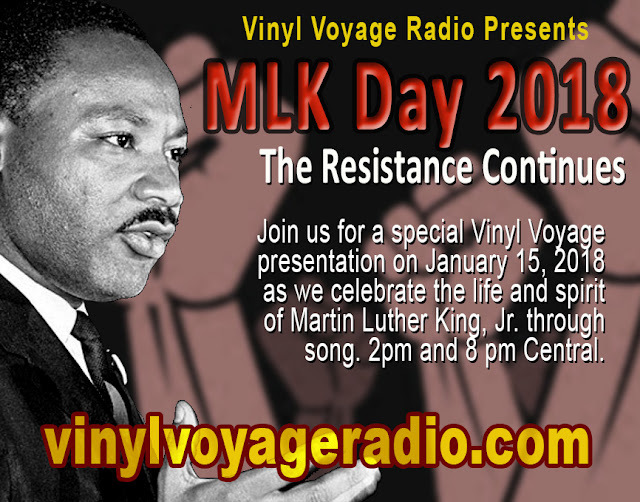 Join Vinyl Voyage Radio for a special MLK Day presentation, featuring music from Mavis Staples, Nina Simone, 2Pac, Staple Singers, Bobby Womack, the Temptations, Jerry Moore and Common. The theme of this year's episode is "The Resistance Continues." Missed "It Won't Rain All the Time?" If you missed S1E8 of Mix Tape memories, you can now listen to it on-demand via Mixcloud. In fact, all episodes can be streamed. Or, you can listen to it below. We lost some giants in the musical world in 2017. 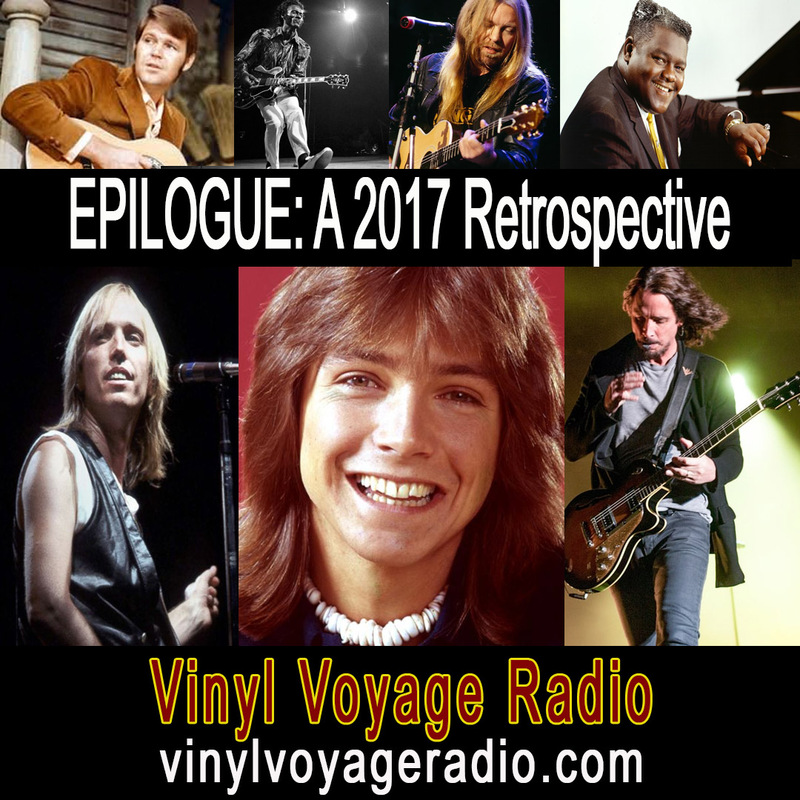 Join Vinyl Voyage Radio as we pay tribute to those we lost.This special presentation features songs from Glen Campbell, Chris Cornell, Fats Domino, David Cassidy, Gregg Allman, Tom Petty, Chuck Berry and several more. 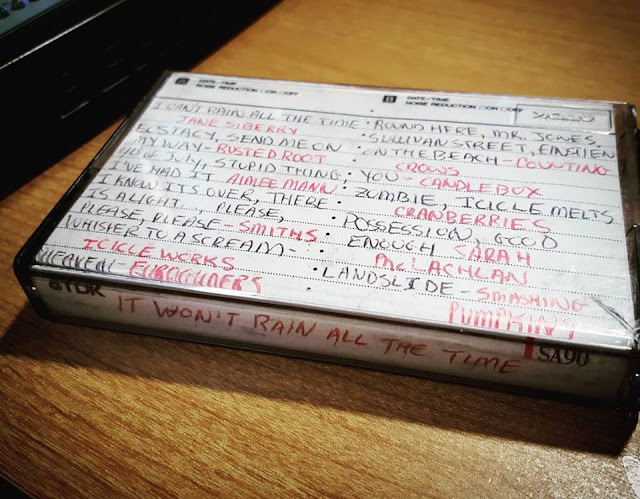 Created c. 1995, "Many Songs #5" is a mix tape steeped in 80s alternative music. When was the last time your heard "Bitchin Camaro" by the Dead Milkmen? This is the featured tape on this week's Mix Tape Memories. This tape can be heard on Friday, 8pm Central. It then repeats on Wednesday 1am and 1pm, central. This is the pinnacle of K-Tel greatness. 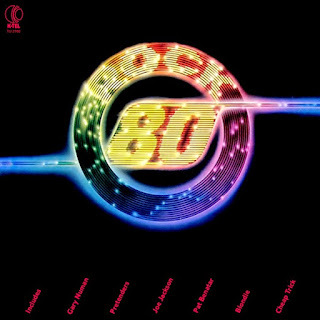 Released in 1980, this album introduced me to Pat Benatar, Blondie, the Ramones, Cheap Trick and Joe Jackson. We featured this album back in 2011 and I think its time for a revisit. 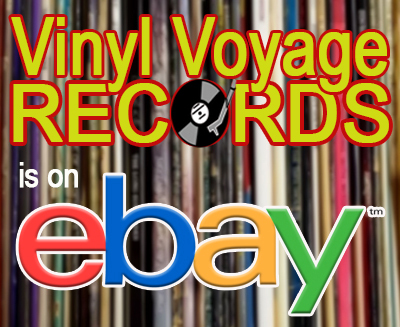 Listen to this album in its vinyl glory on the new episode of Adventures in Vinyl, spinning this month on Vinyl Voyage Radio. Next on Mix Tape Memories - A Tape steeped in 90s Goodness! Tonight on Mix Tape Memories we are going back to the early 90s for a mix tape I called, "It Won't Rain All the Time." The name comes from the first song on the tape, taken from the soundtrack to The Crow. This episode of Mix Tape Memories premiers on January 5, 2018 at 8pm, Central. Only on Vinyl Voyage Radio. Happy New Year! 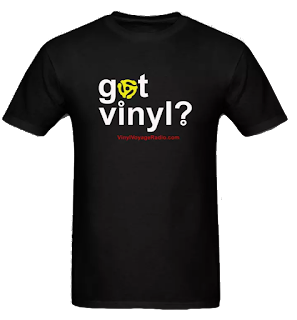 The song of the week is a track from Todd Rundgren's 1972 release, Something/Anything? Listen at 10am and 10pm (Central) on January 3, 2018 and throughout the week. On the new episode of Antique Audio, we take a listen to an historically significant album from 1917. Released on the Victor label, "Livery Stable Blues" by the Original Dixieland Jass Band is considered to be the first recorded Jazz album. But this is problematic. The song is not the first Jazz song. Nor is this band the first jazz band. Like much of American popular culture, Jazz was co-opted from artists in the African American community.